Here are the answers to some of the questions we are often asked. What exactly does the Manor House offer? We offer a comfortable and caring environment to those who require a little extra help and support because they can no longer manage at home independently. We are not a nursing home and so cannot meet people’s nursing needs nor are we specialised in terms of dementia care. 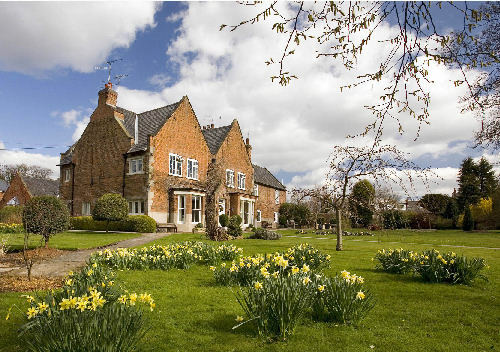 Has the Manor House been assessed by Notts County Council? Yes, we have been assessed as a “Band 5” Home by Nottinghamshire County Council. “Band 5” represents the highest quality of care available in the County. 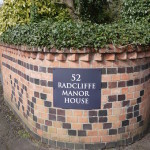 Does the Manor House offer respite care? Yes, when we have a room available we are more than happy to accept people for a short term break. If we do not have a room available at the time of your enquiry we are always more than happy to take your details and let you know when a room becomes available. What are the fees and can I still come to the Home if I cannot fund my own care? Our fees do require a third-party contribution above the “band 5” rate funded by the Notts County Council. We are happy to accept residents who are funded by the local authority providing there is someone who can assist with meeting the third party contribution. The Home also has many residents who are privately funding their stay. How do we meet the individual needs of our residents? 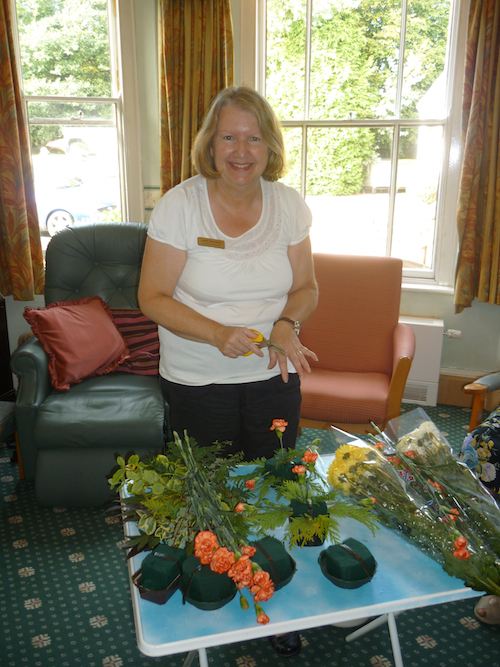 Our ethos is very much around promoting independence and choice within the Home. 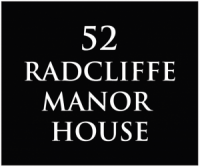 In order to make this happen a senior member of our care staff will discuss with any new resident and their loved ones how they would like to live at the Manor House. We document this in an Individual Care Plan and the resident can choose to have as much or as little input into reviewing and updating it as they wish. The Care Plan sets out specifically where the resident requires help and where they wish to remain independent. 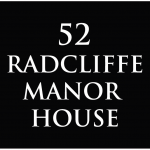 What makes the Manor House that bit special? We are a charity not a business, so all of our income is invested in the residents. We are a relatively small home (currently 25 rooms), so the atmosphere is very friendly and our staff know all of our residents. 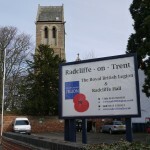 We are located very close to the facilities of Radcliffe, shops, cafés, pharmacy, doctors, churches, post office etc… and we make a special effort to help our residents keep in touch with the local community. 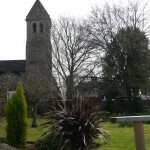 We have some glorious gardens which we encourage our residents to use. We even grow some of our own vegetables for use in the kitchen. 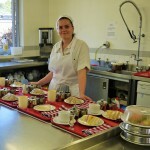 We offer delicious home cooked meals made fresh every day in our 5* hygiene rated kitchen. What sort of healthcare support is available? There is a weekly ward round from the local health centre. This gives our residents the opportunity to discuss health issues with an appropriate professional. There is a private chiropodist who visits each month and there is a private optician who visits regularly to help residents with eye tests and who can provide spectacles for a reasonable price. What other services are available for residents? We have a hairdresser who visits every week. She offers discounted rates and appointments are not necessary. We have an aroma therapist who visits each month and offers a range of pampering treatments. Both of these services tend to be very popular! What sort of activities and outings do you organise? We have two activities co-ordinators whose role is to offer a varied daily programme of activities such as quizzes, bingo, sit & be fit, arts and crafts. 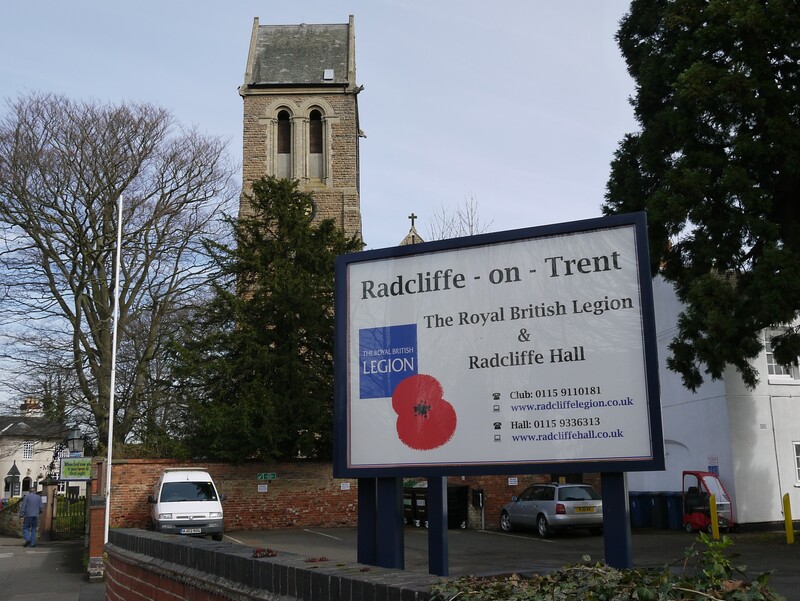 We also help our residents to get out and about in the local Radcliffe community to help them maintain social links and contacts. We have a programme of outings and entertainment throughout the year. This has included boat trips in the summer, trips to local garden centres and entertainers visiting the home. 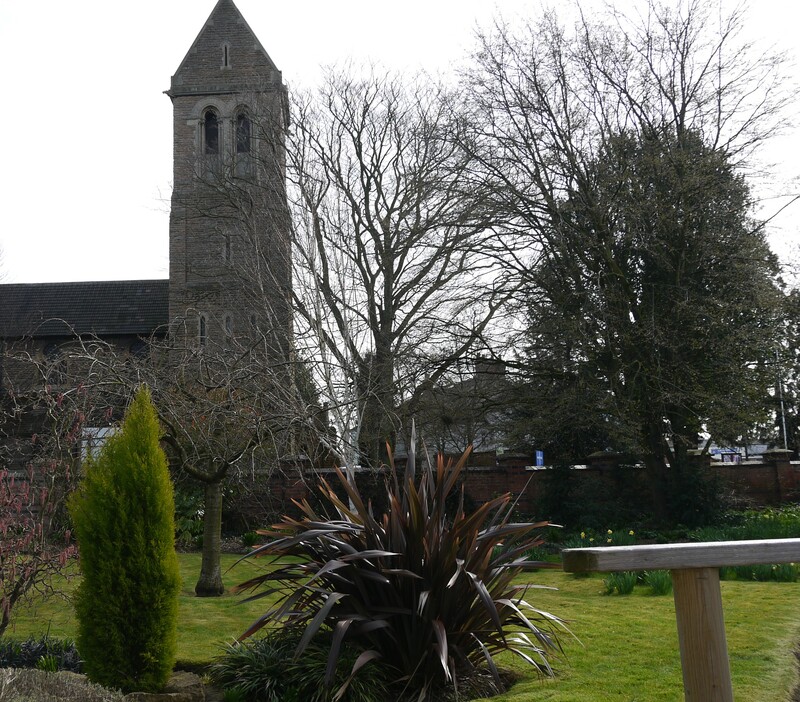 We are also fortunate to have a monthly church service (which takes place in our lounge) and we do help our residents attend the Sunday service at St. Mary’s church (C of E). Should a residents wish to attend a religious service in a different church or if you have a different faith the home will support you with maintaining your spiritual needs. We pride ourselves on our kitchen service. 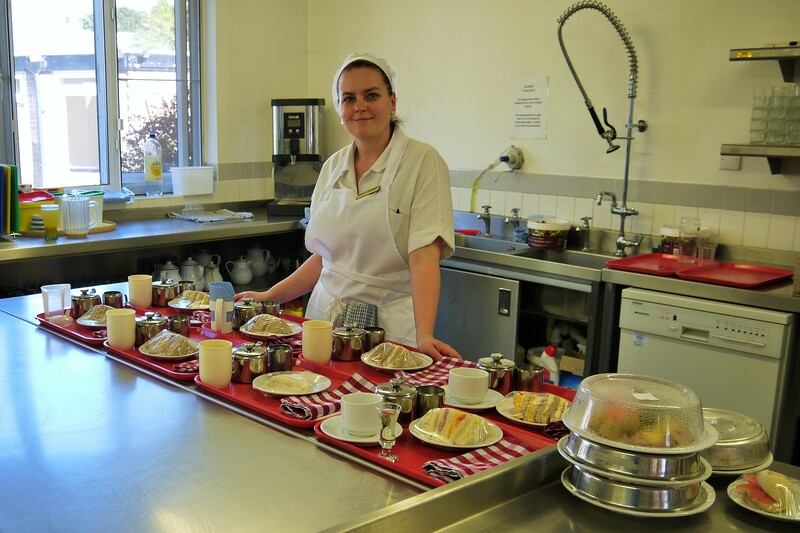 We offer nutritious and delicious home cooked meals made fresh every day in our 5* hygiene rated kitchen. Our menu provides a varied and balanced diet and we regularly ask residents for their views on our food. We can also cater for individual dietary requirements and we are always prepared offer alternatives to the main menu. Do residents have to spend their time in the lounge? 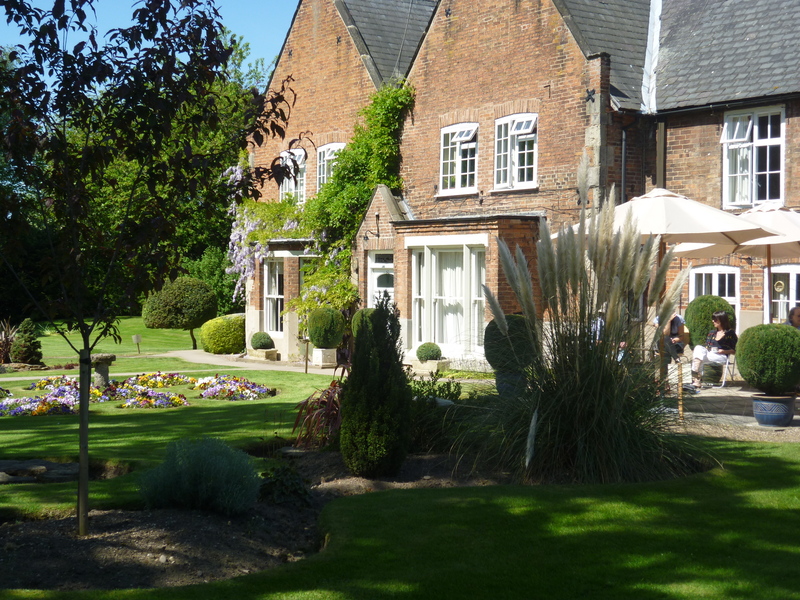 Our view at The Manor House is that everyone is an individual and should be able to spend their time as they wish. For some this will mean joining in group activities and enjoying meals socially, whilst others may prefer to spend more time in their rooms. Residents are free to choose which events they are involved with. Our meal times can be also be flexible to allow residents to eat in the dining room or in their rooms. Can I bring my own furniture to the Home? Soft furnishings, such as beds or arm chairs, must have the appropriate fire retardency label and have a label on to prove they meet current regulations. Any solid furniture must be safe and not too large for the room, this is to ensure there is sufficient space for staff to work safely using equipment should the need arise. Can I administer my own medication? This may be possible following the completion of a risk assessment to ensure that you are aware of what your medications are for. If the assessment is that you are able to self-administer medications there are some strict rules that you need to abide by. For example, you must keep you medicines in a locked box or drawer at all times and never share any of your medicines with other residents in the home. Any questions or doubts about medicines? Always ask a member of the staff. Can the care staff help me with my medication? if you do not want to administer your own medication or cannot do so safely then the care staff at the home are trained and able to support you with this. Medications need to be treated with great care. Please always mention to staff should your relative asks you to bring in any kind of medication (including things like Gaviscon and paracetamol). It is always safer for it to be prescribed for them and administered in line with the home’s policy and procedures. What are the guidelines for visiting a resident? You can visit a resident at any time. If you would like to have a meal at the home with a resident we can make arrangements for this (although advance notice is appreciated to enable the kitchen to amend their catering arrangements). A small donation (of any amount you are comfortable with) to the residents fund would be appreciated. Note: Late visiting – we do ask that if you visit a service user after 9pm you ring the bell and wait to be let in so that night staff members know there is a visitor in the building. Can I stay with a resident if they are unwell? Should your relative be unwell and you wish to stay with them over night we will do our utmost to make you as comfortable as possible. Medication. There are strict rules about how medicines are stored and administered. Please always ask about medicines. Electrical items. For the safety of all residents, electrical equipment must be visually inspected by the home’s maintenance person before it can be used. Please always ask before bringing in any electrical items. Cleaning products. The home is only allowed to use certain products and there are very strict rules about their use and storage. Please do not bring cleaning items (e.g. bleach or plug in air fresheners) into the home for use in a resident’s room. How do residents manage their money in the Home (for shopping, paying the hairdresser)? The home offers a “cash account” facility to all residents. This will enable a resident to pay for services (e.g. to get their hair done) and buy any items they require. The admin team manage the cash accounts. If a cash account needs “topping up” we either let the resident know (or if they prefer we will contact a relative and they can bring in funds to “top up” the account up again). We do not recommend that residents keep cash in their rooms. 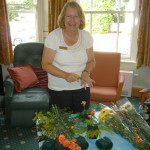 Can I give gifts to the Care Home Staff? Our policy is that gifts cannot be given to individual staff members. However should a resident wish to buy a small gift for all staff (e.g. a box of chocolates at Christmas) this is fine, provided the office staff are aware and the gifts book is completed. Usually it is advisable for a relative/friend to bring any gifts in to the home on behalf of the resident as staff would not be allowed to go to the shop and purchase them. Can I make a donation to the Manor House? We are extremely grateful for any donations that we receive. We are a charity and we do need financial support. If you think you might be able to support us – please contact the Manager (Karen Squire) or the Chair of the Committee (Dave Morgan). 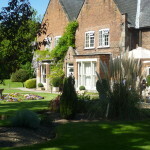 Can I help the Manor House by getting involved personally? We have an informal group of volunteers who support our work. It is a fun and rewarding role and people contribute as much or as little time as they wish. Details of how to get involved are on the “How can I help?” page (see the menu). 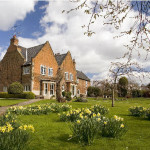 The Manor House is a charity – is this important? Yes it is important. Most residential homes are run as commercial businesses but we are charity. This means all of the income we receive is invested in the care of our residents.